Digital Marketing Internship in Jaipur with Certification - Apply Today! Quibus Training is a renowned name in the field of Digital Marketing coaching. The course gives you an in-depth knowledge of Search Engine Optimization (SEO), Social Media Optimization (SMO), Search Engine Marketing (SEM), Blogging, Analytics, and other Digital Marketing practices to kick-start your career. Once you complete the course, you also have a chance of digital marketing internships in Jaipur and at Quibus Technosys (Digital Marketing Agency and Parent Company of Quibus Trainings). In addition to training, we are also working on several digital media and marketing projects for our esteemed clients, at the same time one of our wings is working on our in-house projects. These projects include running popular YouTube channels, Facebook pages, PPC ad campaign management, SEO, and content marketing services, etc. of different clients. Wondering What is the need for the digital marketing internship in Jaipur? Students who successfully complete our Integrated Digital Marketing Program (IDMP) can opt for working as an intern with us. We offer 6-month internships to freshers who are interested to pursue a career in the field of Digital media and marketing. Once the internship is over, Quibus may offer exciting digital marketing job in Jaipur to the potential candidates. 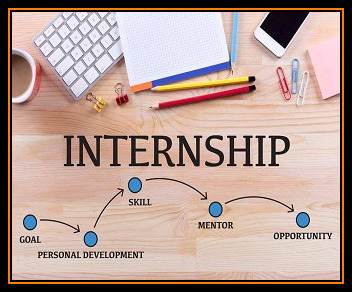 You’d have to demonstrate excellent learning skills and make individual contributions in a disciplined environment during internships to be eligible for a job at Quibus. By working with Quibus on latest digital media projects and marketing services, you can kickstart your digital marketing career in the best way possible. So, if you are ready for a career full of amazing opportunities and growth, enroll in Digital marketing course (IDMP) by Quibus Training now. If you have any queries, feel free to contact us at +91-8502-002-002 or request a free call back now, if you want to enroll for the upcoming batch, kindly Register below.